In case you hadn’t heard, I’m performing live from my home on the 19th, via the concertwindow.com platform. The complexity of these online concerts varies from a cell phone camera streaming someone playing a guitar while sitting on the couch all the way to multi-performer, multi-camera feeds with sound engineers, camera operators, directors and the like. My shows lean to the simpler side of the middle of the road. I currently film from a single HD webcam, with audio pulled through a mixer for the broadcast. If I had reliable and skilled friends, I would gladly incorporate multiple camera angles with edits, logo, song title splash screens, and end credits. Until I am at that point, a single video source must suffice. Anyway, this time around, the sound is much more complex than I’ve historically had to deal with. I have a guest performer joining me, playing the dobro, and I have need of 5 separate guitars for tuning changes, a porchboard for some low end thump, and probably a harmonica. 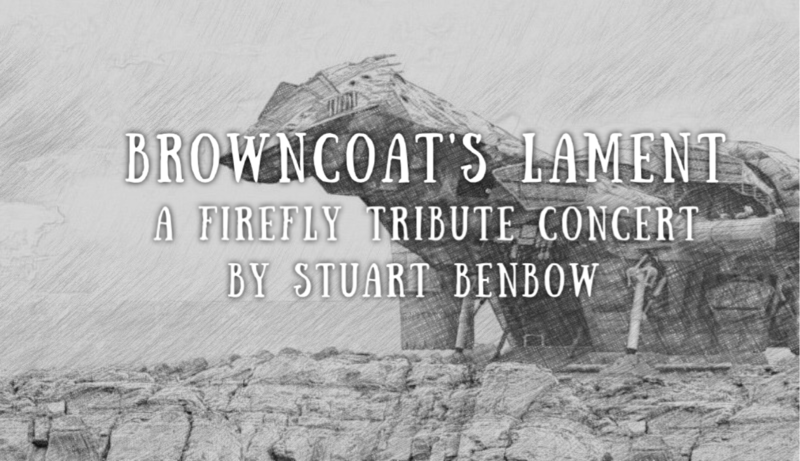 The concert is a departure from my norm, being themed, with music from, or in larger measure, written about the television show Firefly. For the instruments, I’m planning microphones, rather than using their pickups, to streamline the cable spaghetti and ease switching instruments. I’m also looking at a pair of room mics. All the configurations I’m considering have to be carefully tested well before the event to ensure high quality and balanced sound. Of course, everything has to be well lit, and fit within the view of the camera, and not interfere with line of sight for both Dave and I, as well as or our hands. Mostly, it’s just fiddley bits, but the end experience is in the preparation and details. I hope you’ll join me. Tickets are name your price, and the show is set for roughly a half hour, kicking off at 7pm eastern, on March 19th.